Fearless cover reveal and $25 Amazon gift card giveaway! Clean Teen Publishing is pleased to share the cover reveal for the third book in the exciting DECEPTION GAME Series by Kristin Smith. FEARLESS is scheduled to release on August 28, 2018. If you haven’t started reading this series yet, readers can grab a copy of the first book in this at their local Barnes & Noble store, as well as at all online retailers. Those who love to read e-books will be excited to hear that CATALYST is available for free on all e-book retailers for a limited time. Check out the new cover for FEARLESS and also check out the giveaway for a $25 Amazon Gift Card! On the run from the government, Sienna and her Fringe companions seek refuge in the primitive Zenith Camp, until a government decree draws them out of hiding. They’re ready to resist, but it may be too late. 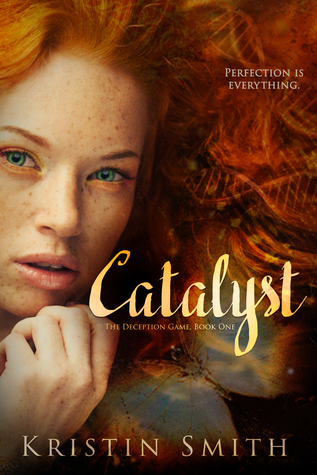 Start reading CATALYST today for free!